Kb Glass Ltd work closely with Met Therm windows who manufacture a range of metal windows which have all the traditional aesthetics of the original steel windows but has the energy efficiency to meet modern day building regulations. We can help you all the way through your buying decision including planning approval if it's required. THE SLIMMEST FRAMED 'A RATED' THERMALLY BROKEN WINDOW AVAILABLE In the marketplace. The product is 'A rated' as standard, being Part L compliant and meeting New Build Requirements the AG210 is the ideal choice for any project. Direct to brick or stone. These windows make the perfect replacement for traditional steel windows. We will design your windows to suit your particular style and ensure an excellent match to compliment your home. 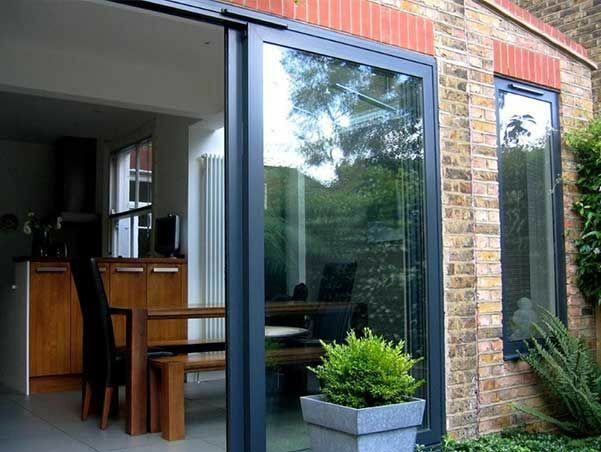 If you are looking for bespoke windows then we can help you as our steel window alternative can provide the ideal substitute. Please see below for information about the glass that we provide with these beautiful windows. 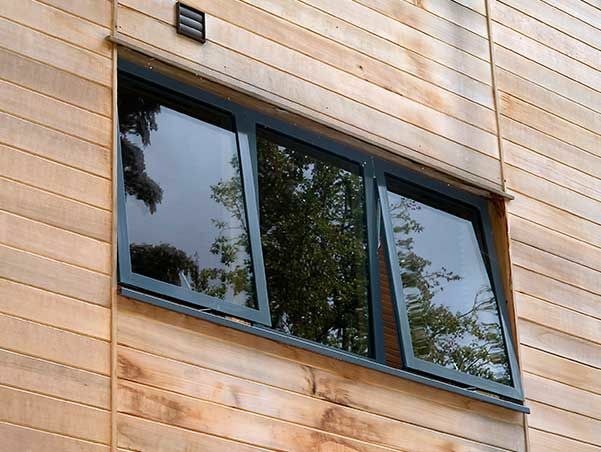 The thermally efficient frames of the AG210 windows and doors are glazed using 24mm double glazed sealed units. We use the very latest high performing low E glass, argon-filled units with warm edge spacer bar technology. This provides a BFRC 'A+10 rated' window, making your home lighter brighter and warmer. We provide leaded glass units with flat or rounded leads in a range of widths. We solder and aged all our leads as standard for greater authenticity and to replicate the original features of your period windows. We can provide any design you wish but offer rectangular, diamond & Queen Anne as standard. Coloured stained glass units are also available and provide a fantastic finish to your property. 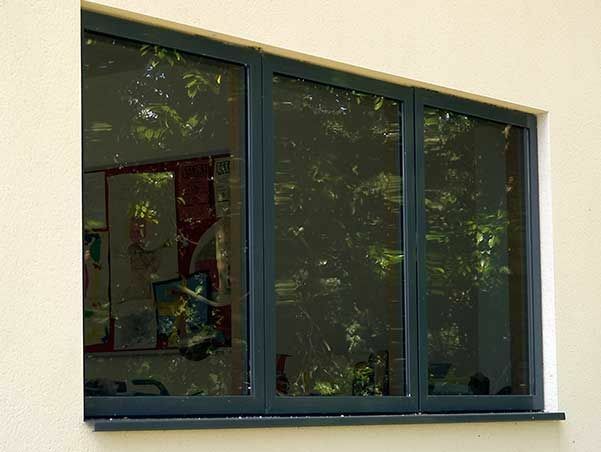 The AG210 metal windows are polyester powder coated and therefore are available in any standard RAL colour. They are also available in a choice of finishes including matt, semi-gloss, gloss and hammerite finish. We can also provide dual colour frames where the frames are painted one colour inside and a different outside. The AG210 door suite allows replacement and new build doors to be thermally efficient and low maintenance along with the traditional styling of the original frames providing a seamless blend of old and new. All doors are crafted by hand, to your exact requirements so you can add a kicking panel, welded bars, create a marginal design of the 1930s, cottage panes, match leaded panels or have traditional face bolts. Alternatively you can create a more contemporary feel with clear glazing from top to bottom and the addition of a multipoint locking shoot bolt system. Glazed panels can be coupled together with doors to create a stylish glazed wall to blend traditional designs. We also install the popular industrial chic effect with welded bars and hammerite finish which allows contemporary styling to be warm and energy efficient, ideal for new build projects. Give us a call and we'll be happy to discuss all your options and help you find the perfect solution.